I truly believe this – Our life experiences make us who we are today. Real estate sales is not just about buying or selling a home, it is a major life experience that will affect you in many ways. It can be exciting and sometimes stressful. It is about your goals, your likes or dislikes, what makes you comfortable, and what your lifestyle or finances are. That’s why I personally guide my clients through every step of the real estate buying or selling transaction. I take great pride in the relationships I build and always work relentlessly on my client’s behalf to help them successfully achieve their real estate goals. 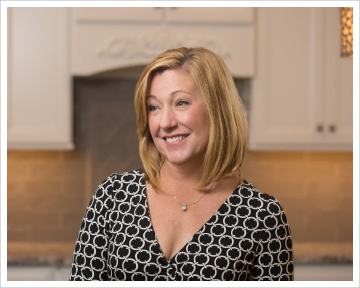 With over 25 years of experience in sales, marketing and public relations, combined with my extensive real estate knowledge, I am the REALTOR who can successfully sell your home or find you a new home you’ll love. I will help make one of your major life experiences a successful and exciting one! I am licensed in Massachusetts and Rhode Island. • Have lived North Attleboro for 22 years. The Precopio family has lived in North Attleboro for 112 years – immigrated from Calabria, Italy in 1904. • My greatest joy is spending time with my husband and two daughters. • I am a graduate of Rhode Island College where I received a Bachelor’s Degree in Communications/Public Relations. •Up With People Alumni – traveled for one year as a student with this program. Traveled to more than 100 cities and lived with over 100 host families in the US, Scandinavia, Canada, and Mexico.Performed in a professional musical stage production, participated in community service, and completed promotional and sales work for the organization. I will bring you home!